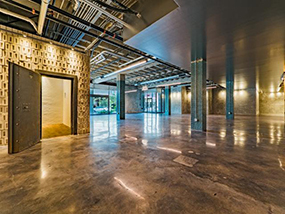 Repurposing the 302 Broadway building took a lot of mind and matter. With all building systems needing replacement except for the bones, razing the building was considered, but ultimately redeveloping the four-story structure prevailed. Fortunately, one factor that made razing the building unviable, was the enormous asbestos abatement required, including the entire exterior wall system. 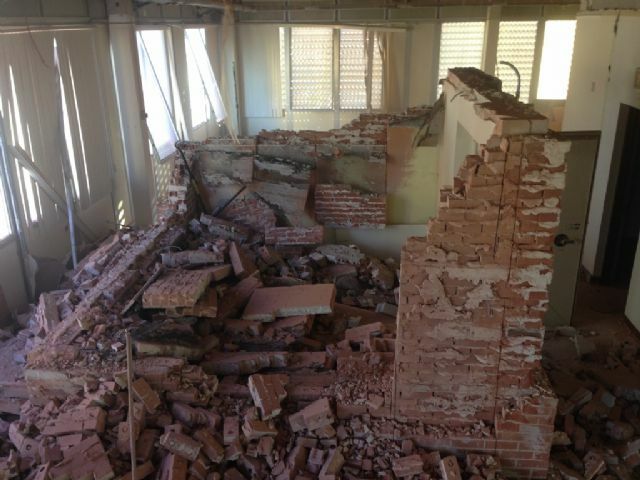 It’s hard to justify large demolition cost to start over with raw dirt for new development. 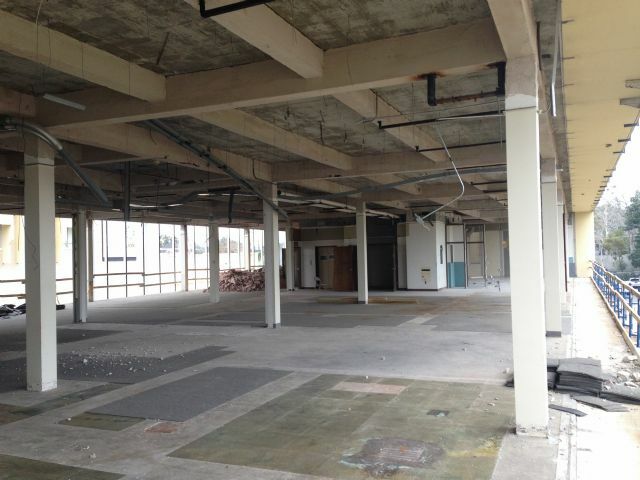 The building’s great bones (super structure) made the building primed for redevelopment. 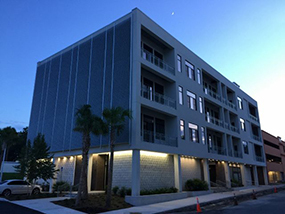 Being a formal utility building, its structural elements are stouter than the typical (in this day) multi-residential unit buildings. 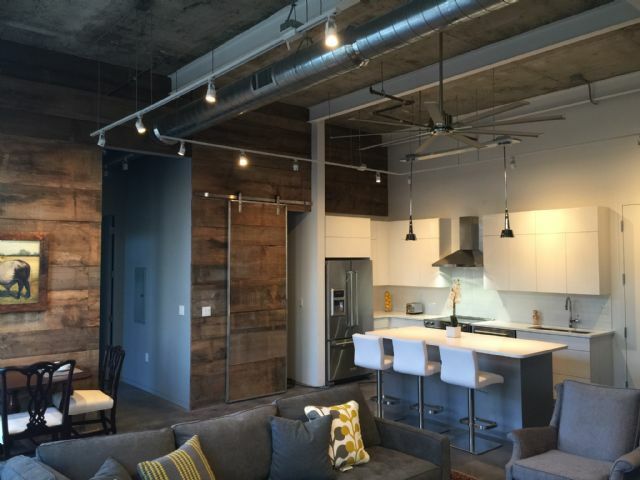 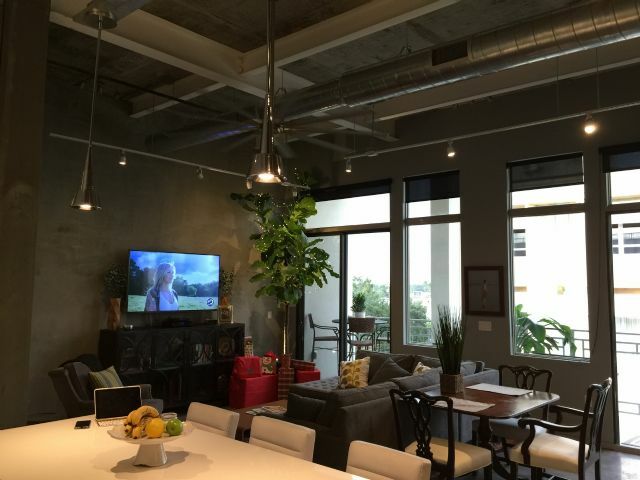 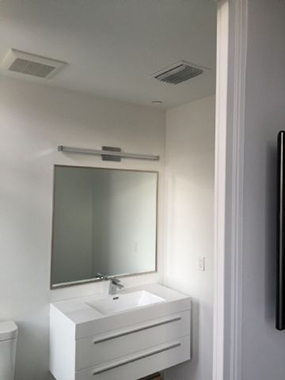 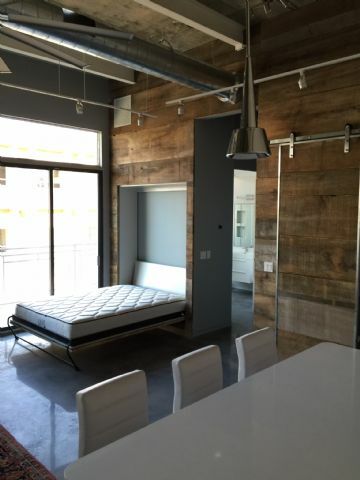 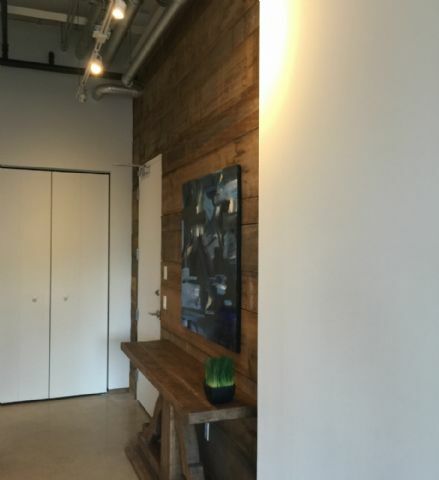 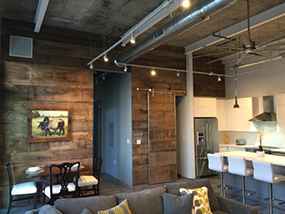 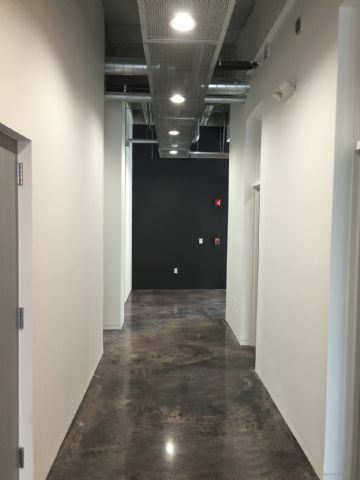 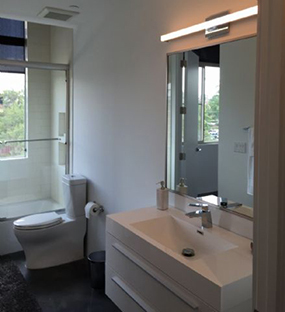 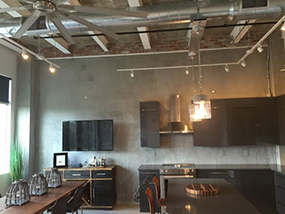 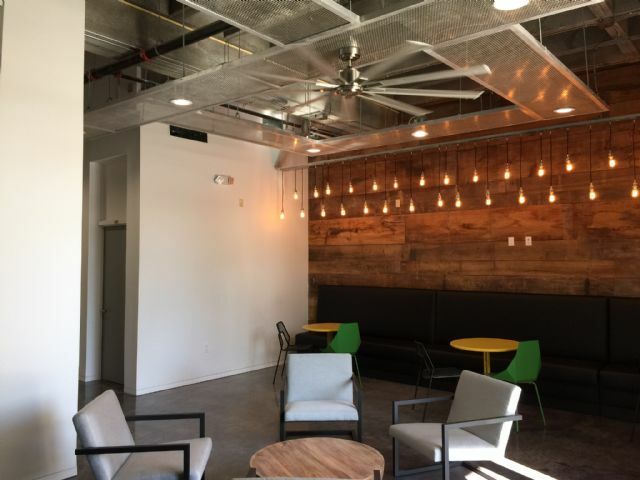 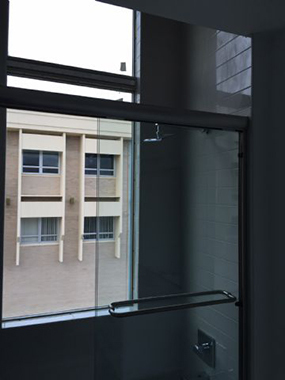 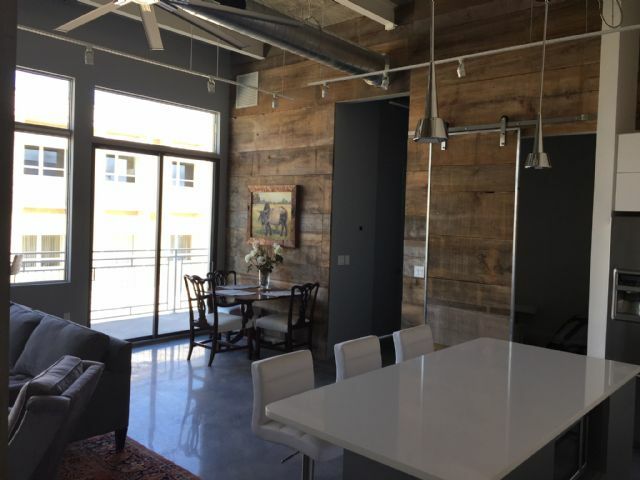 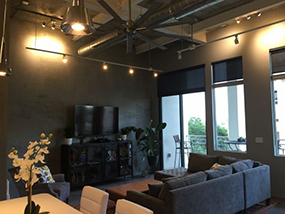 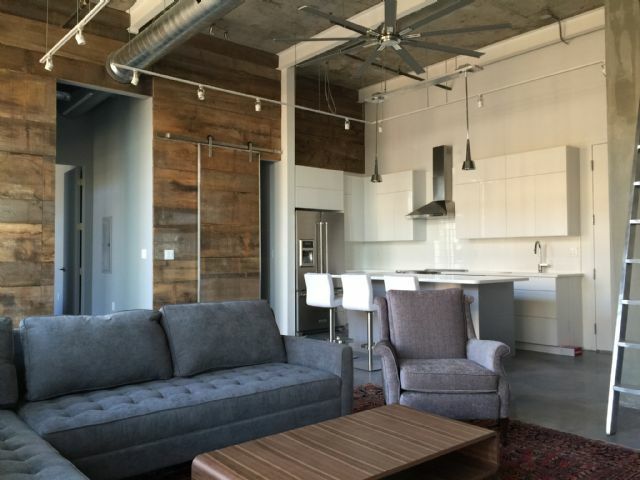 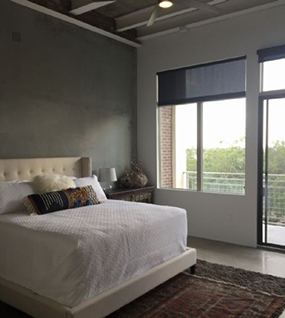 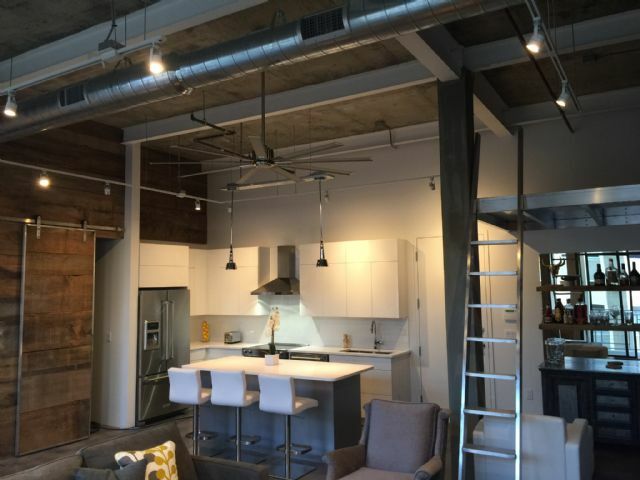 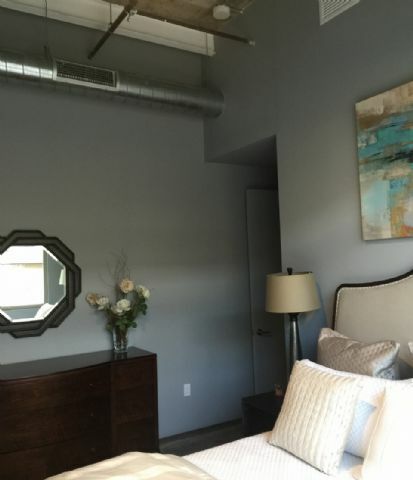 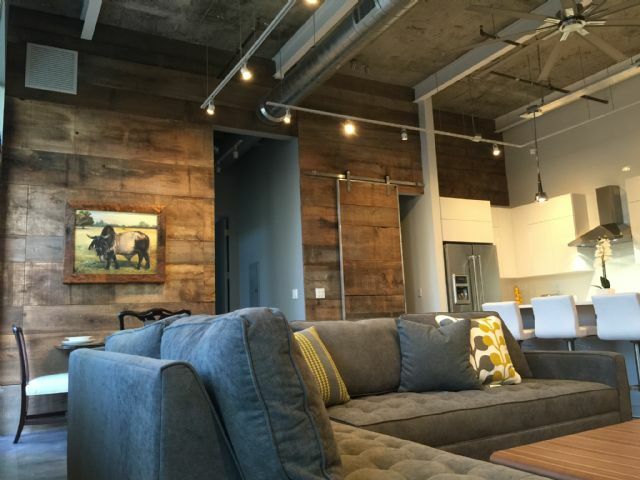 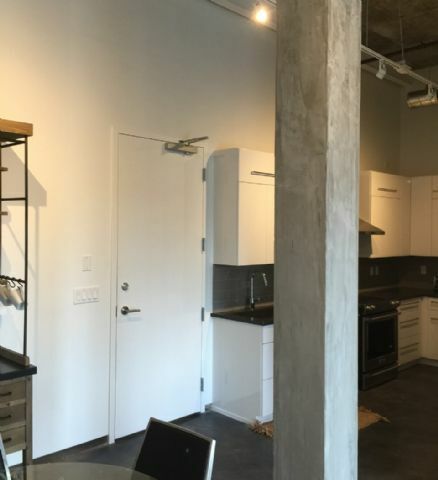 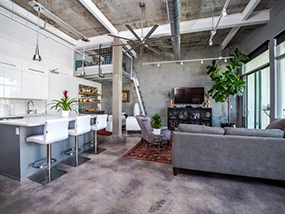 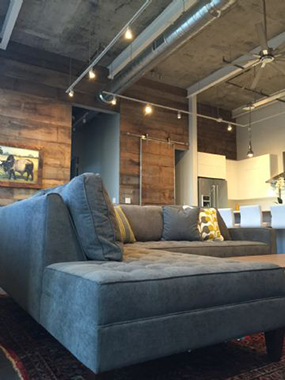 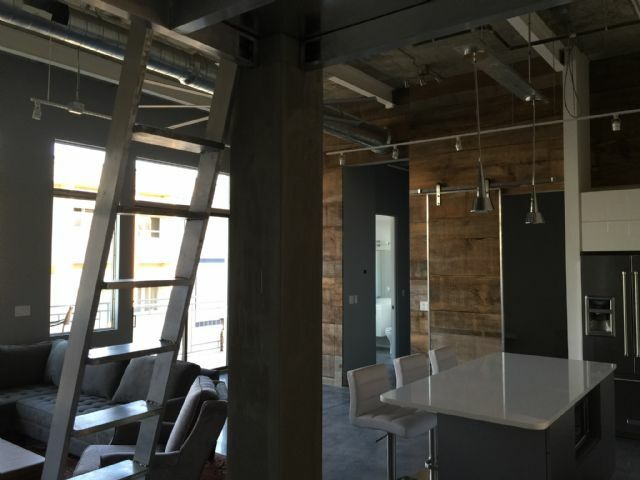 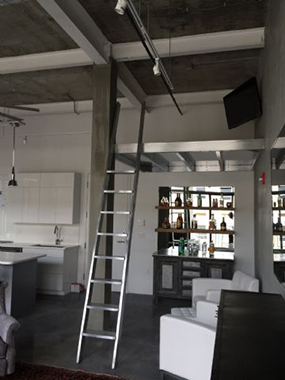 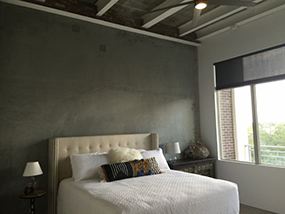 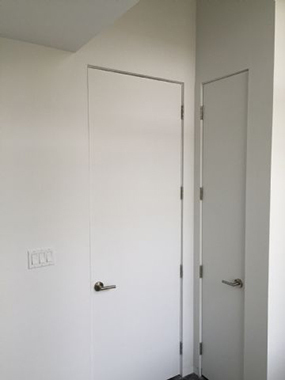 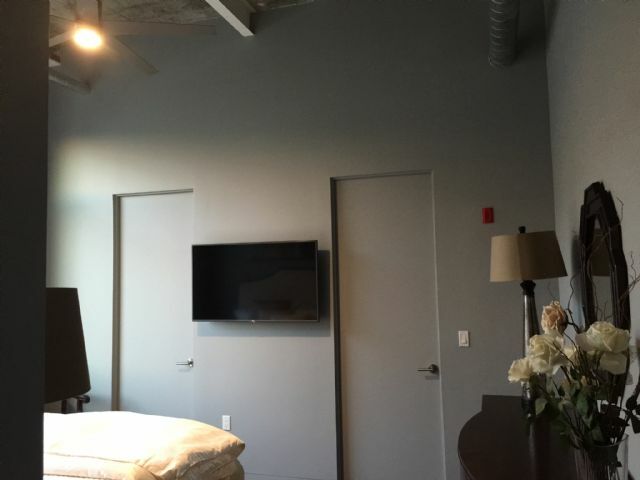 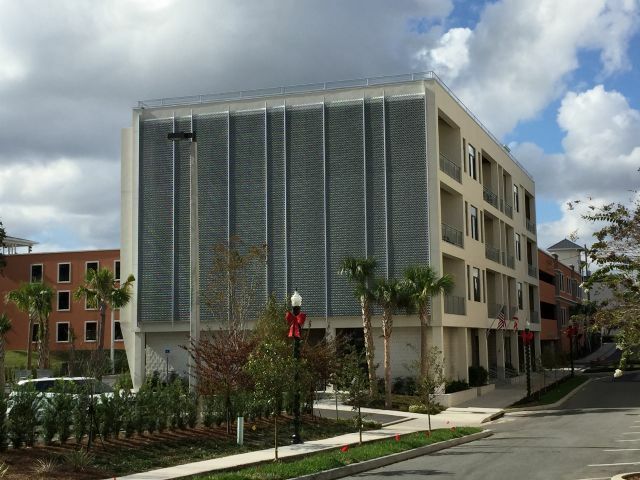 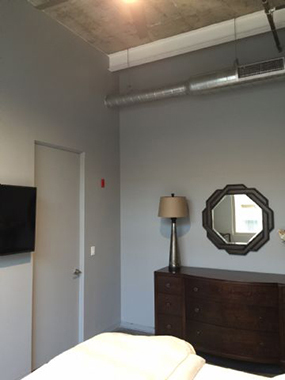 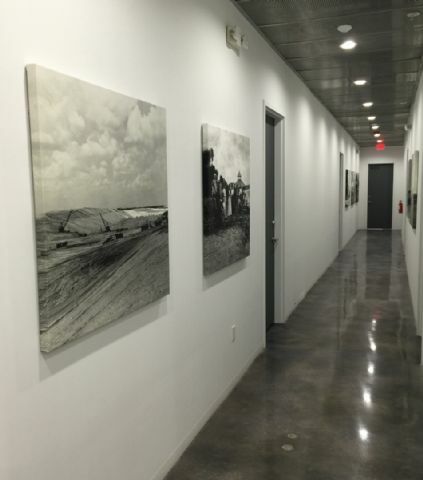 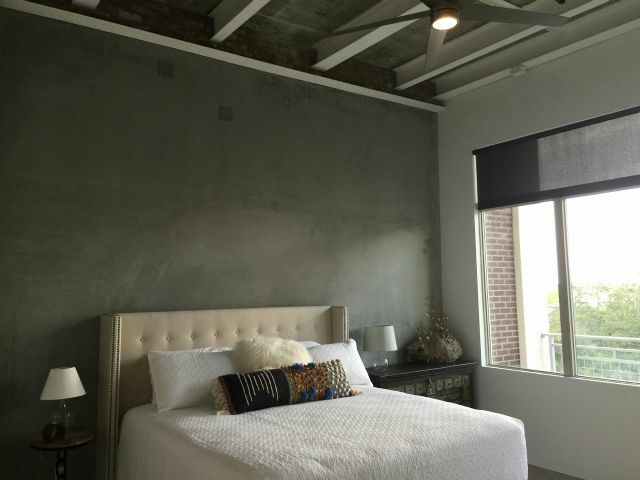 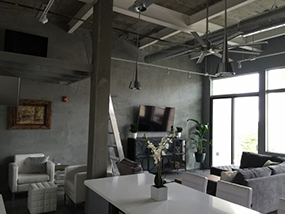 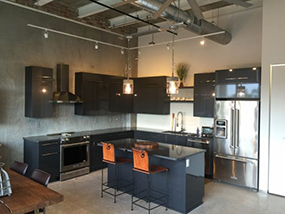 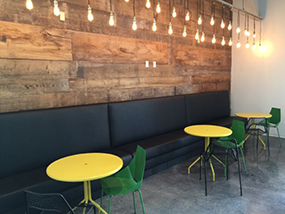 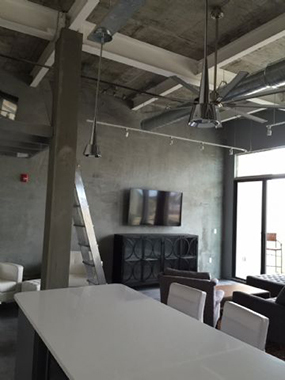 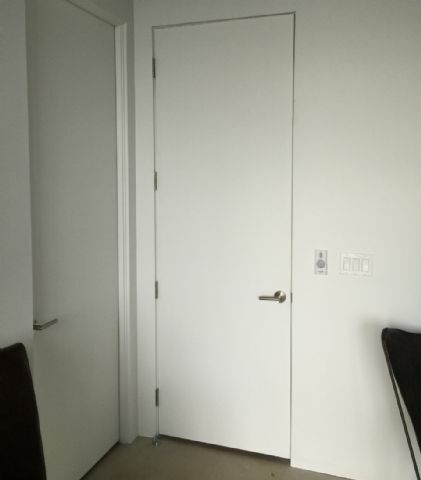 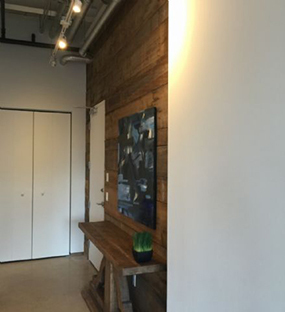 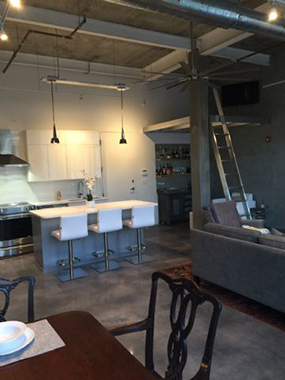 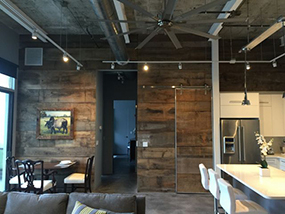 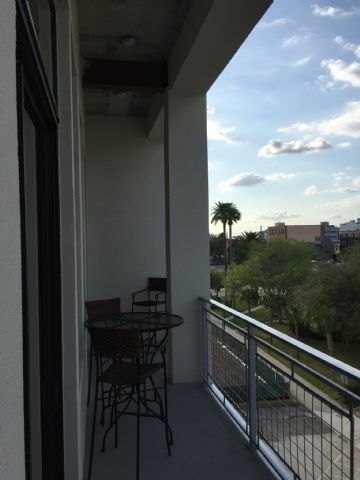 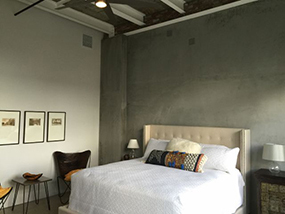 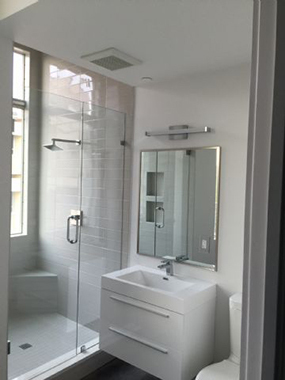 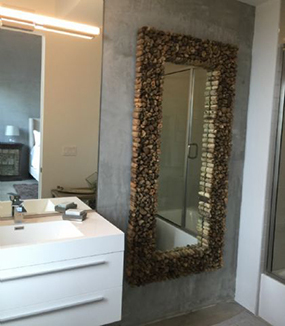 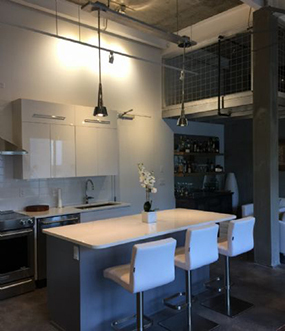 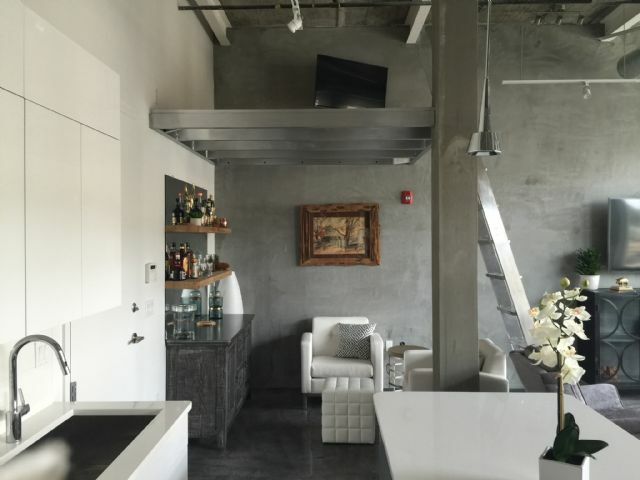 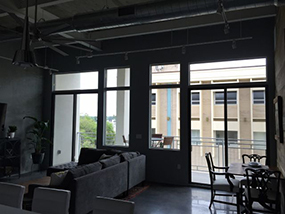 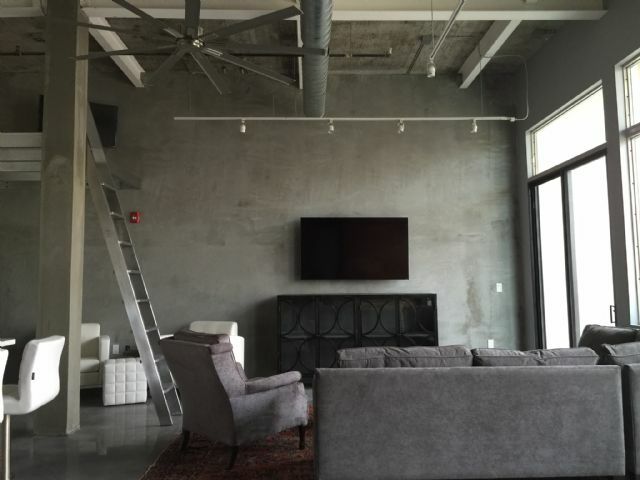 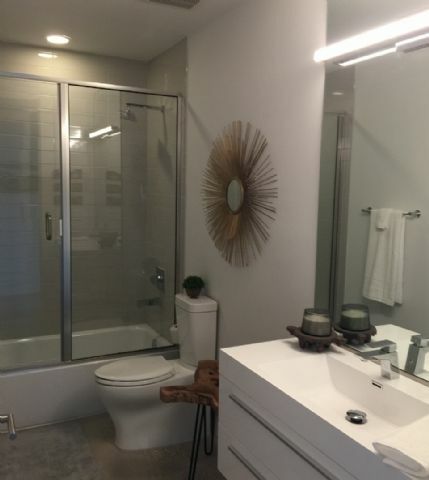 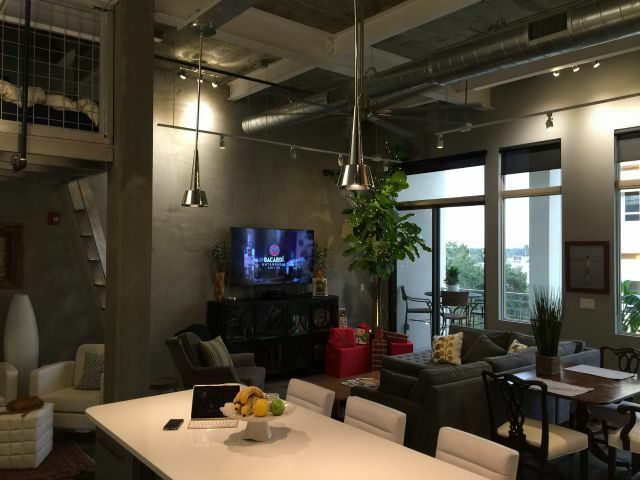 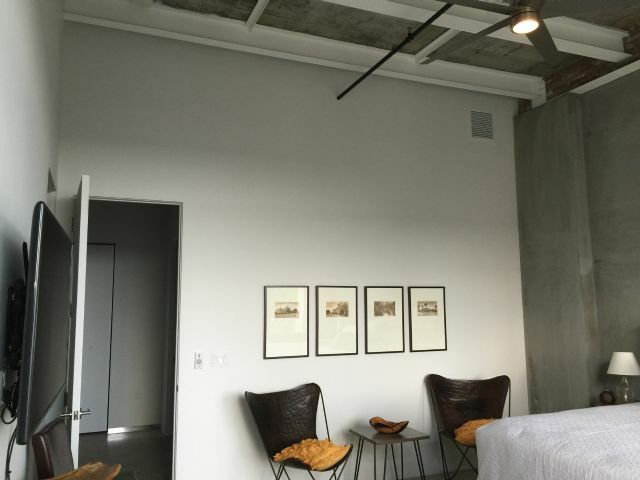 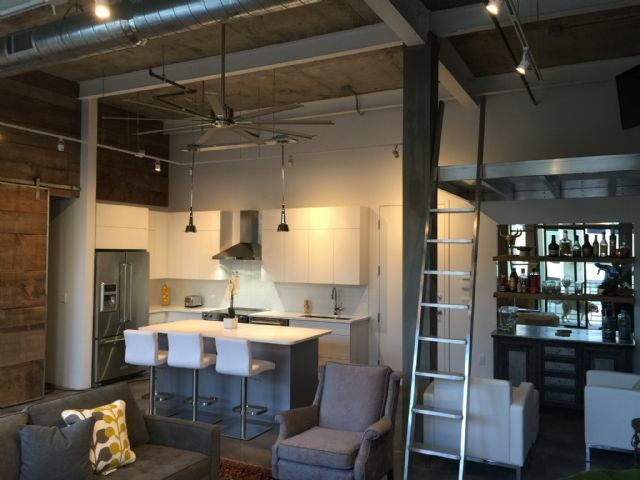 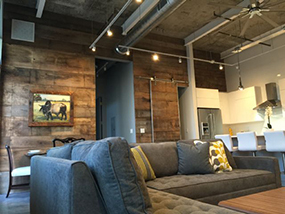 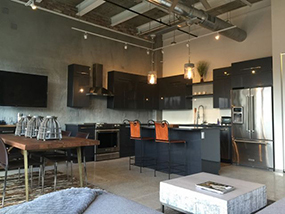 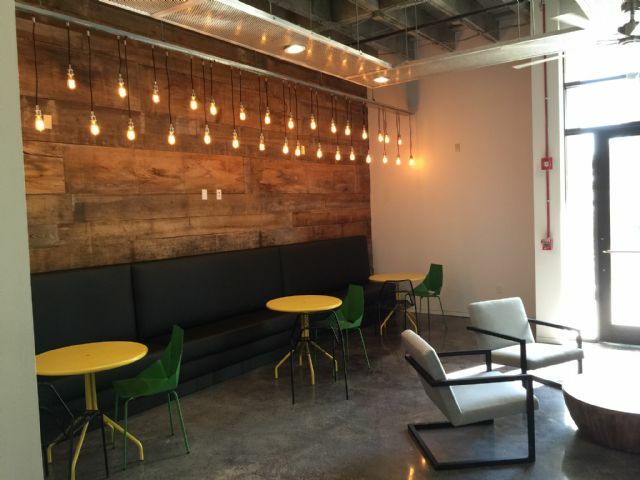 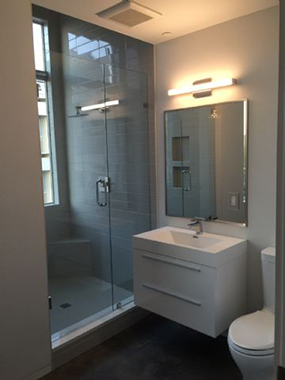 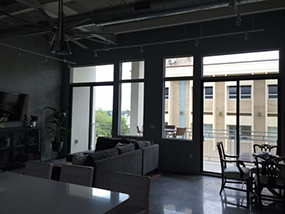 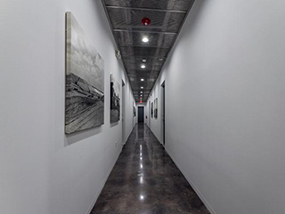 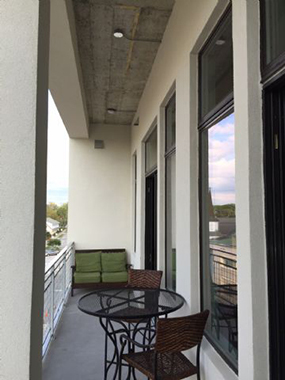 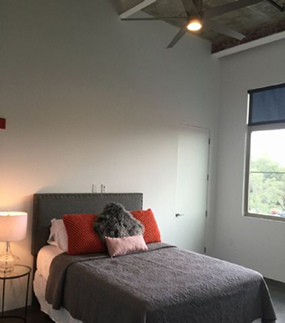 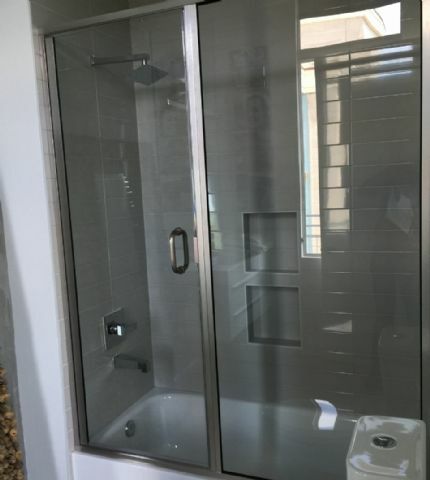 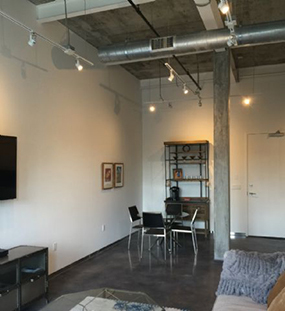 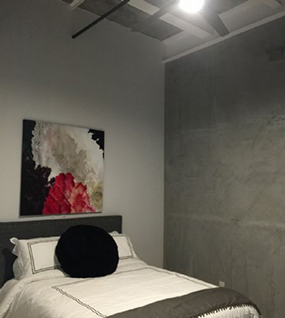 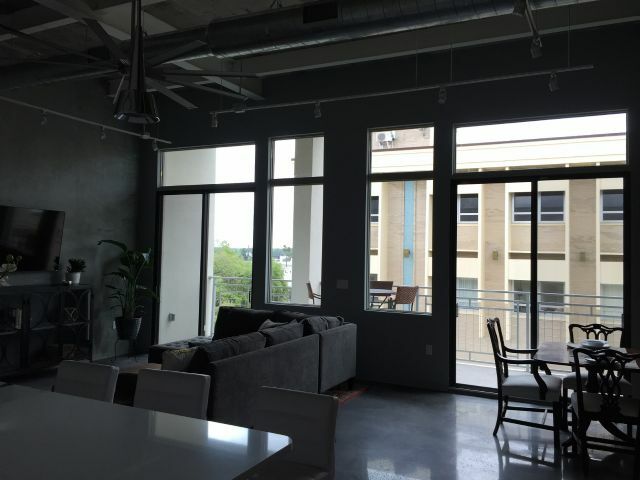 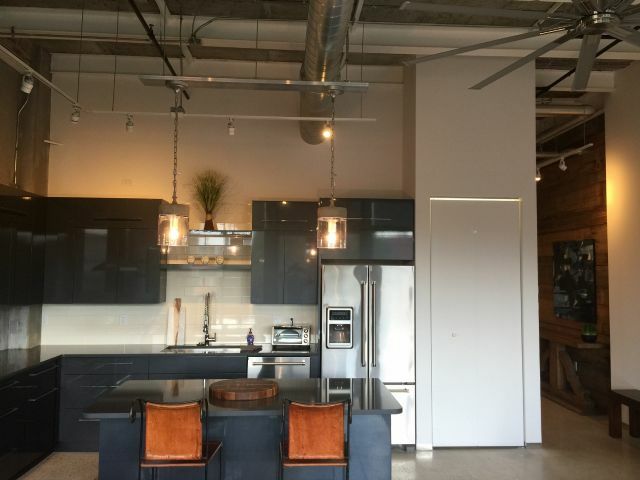 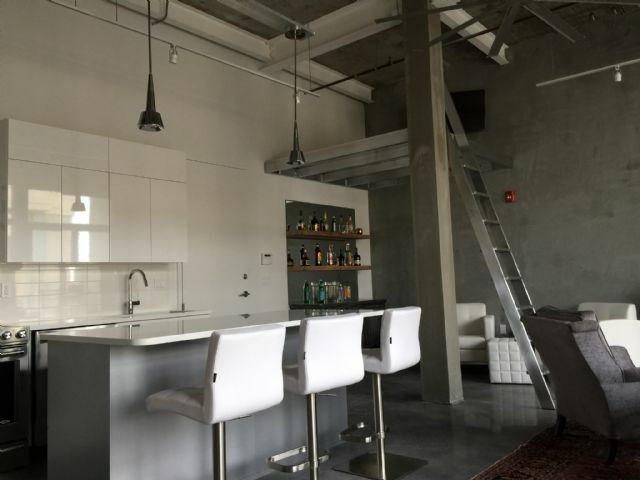 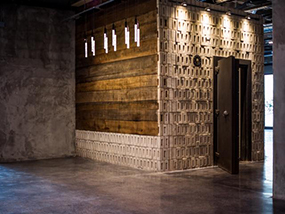 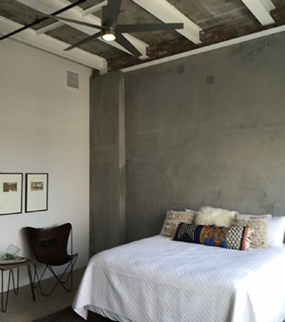 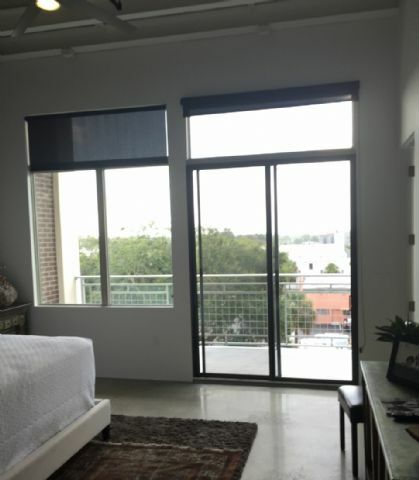 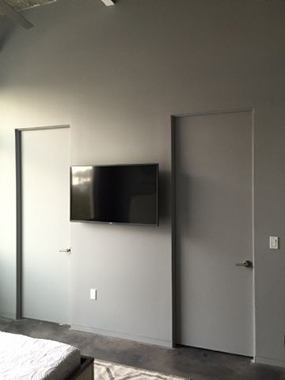 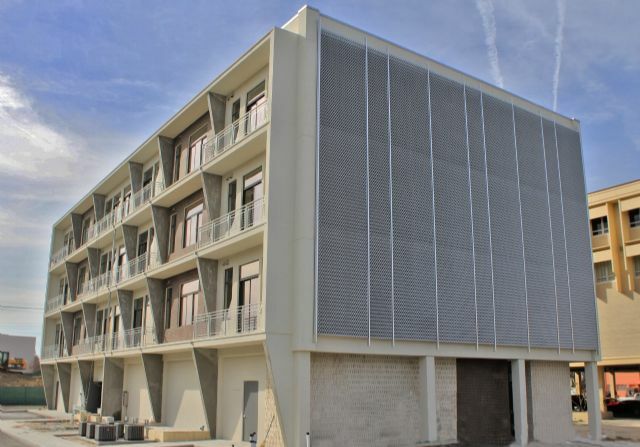 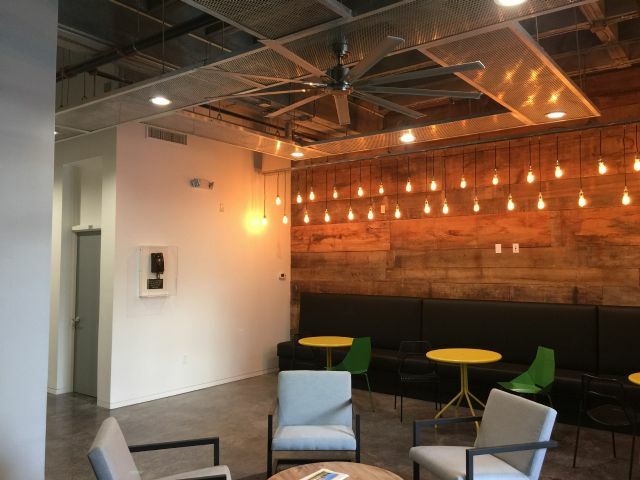 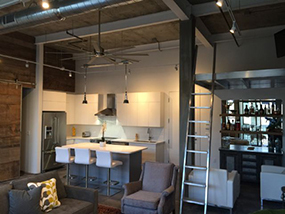 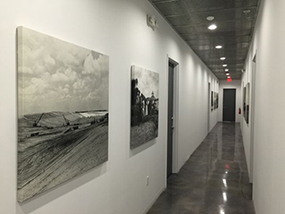 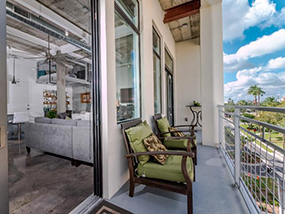 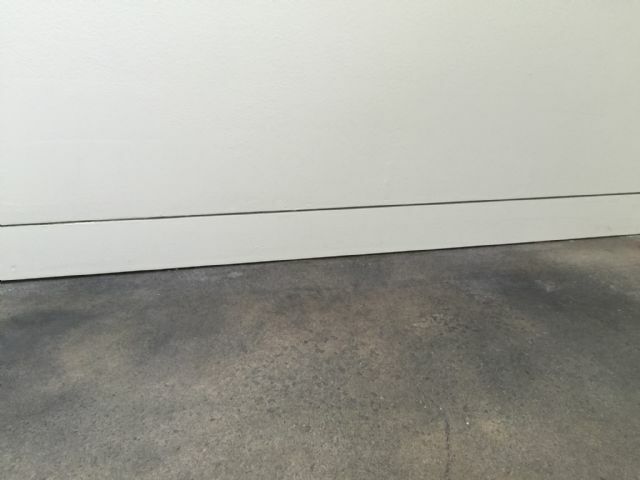 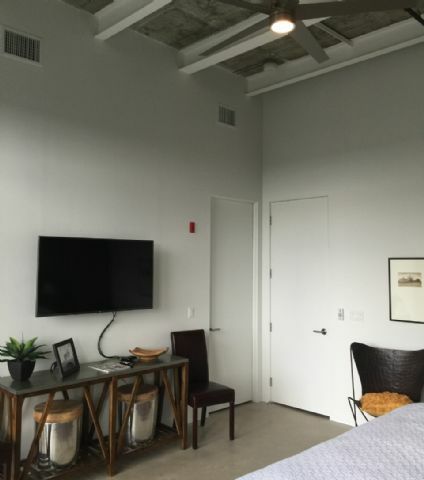 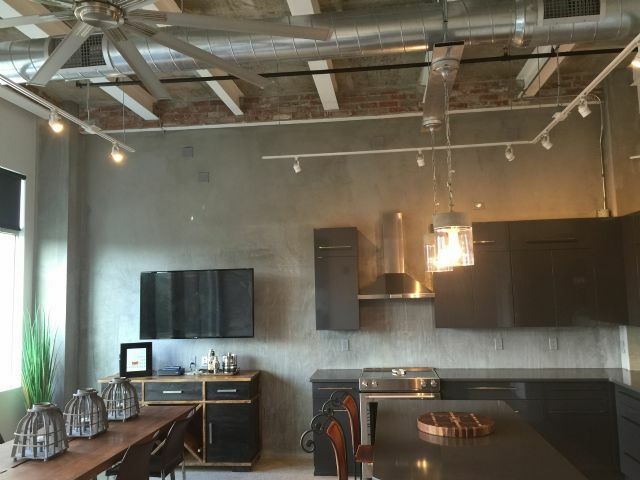 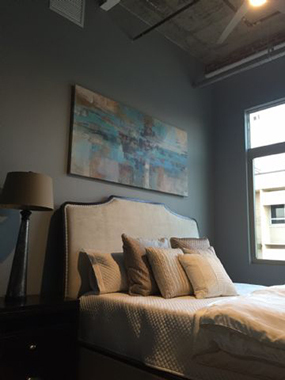 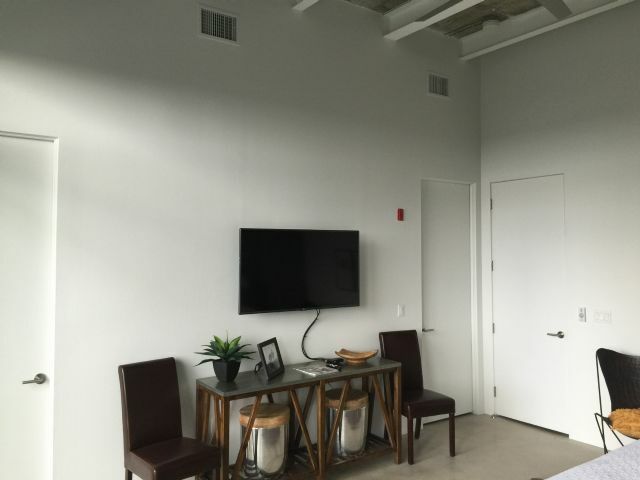 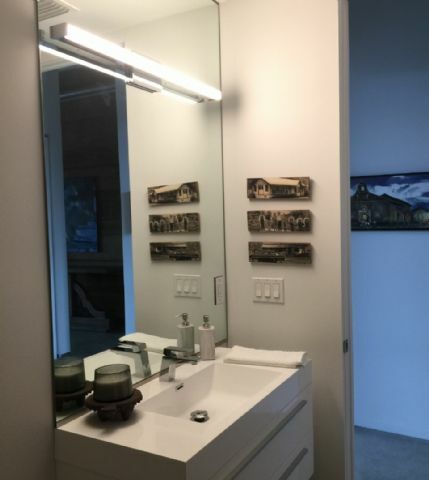 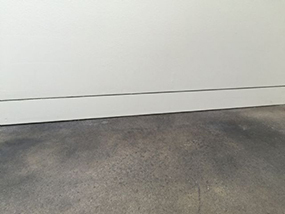 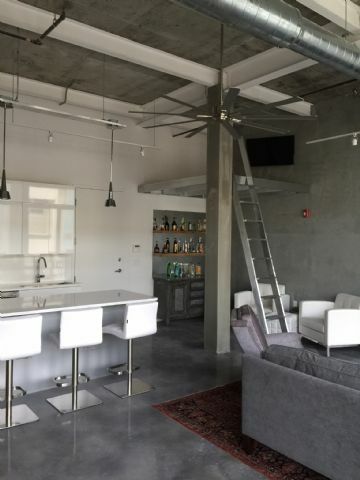 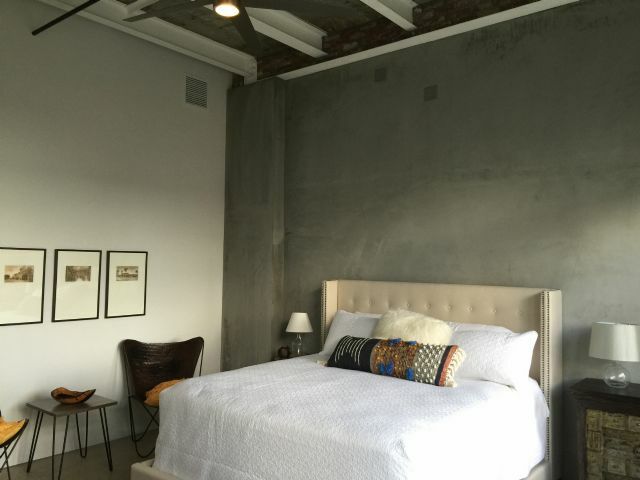 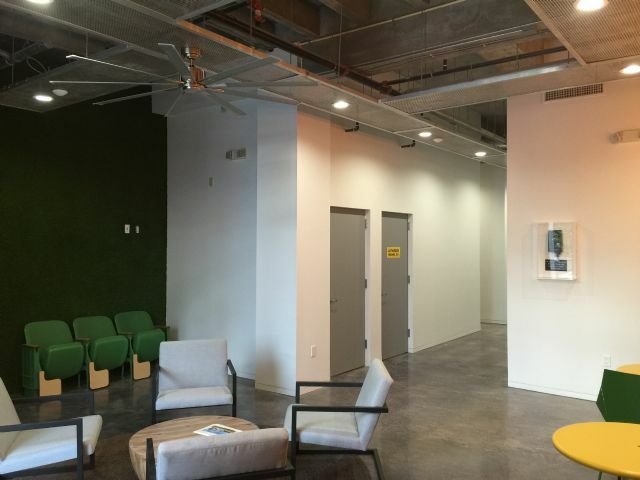 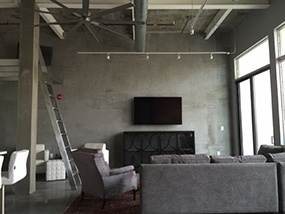 These structural elements were perfect to construct residential condos featuring industrial interior design. 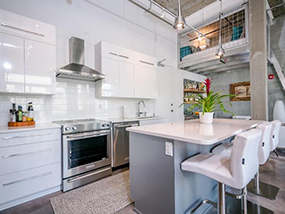 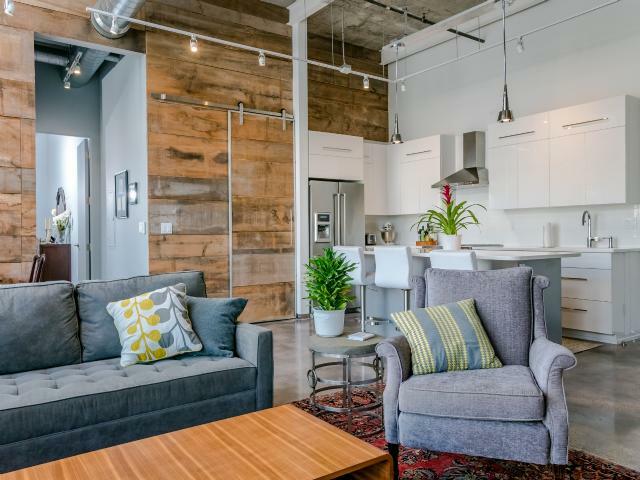 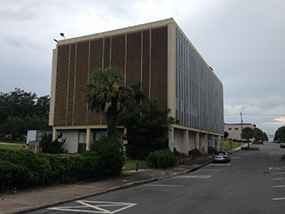 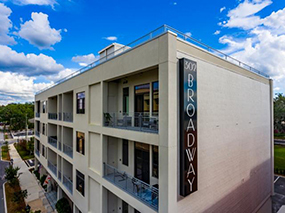 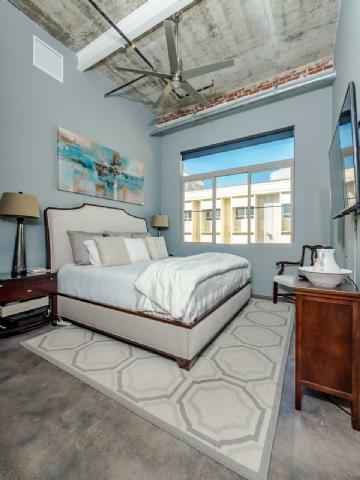 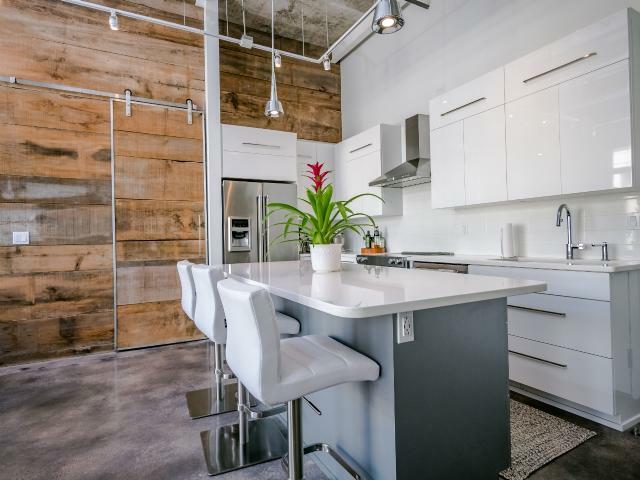 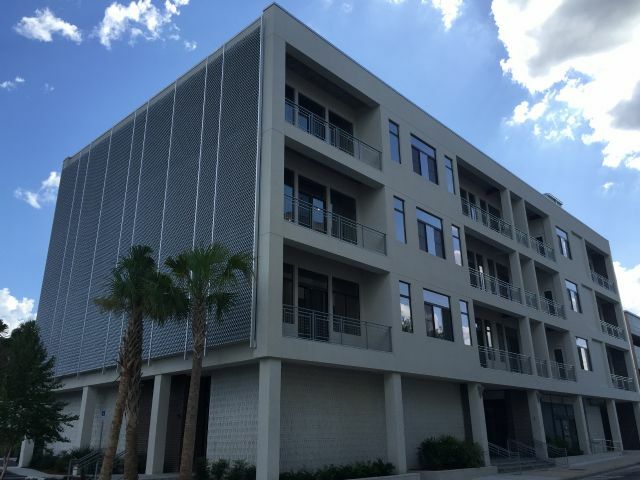 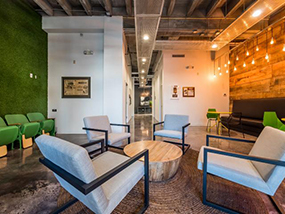 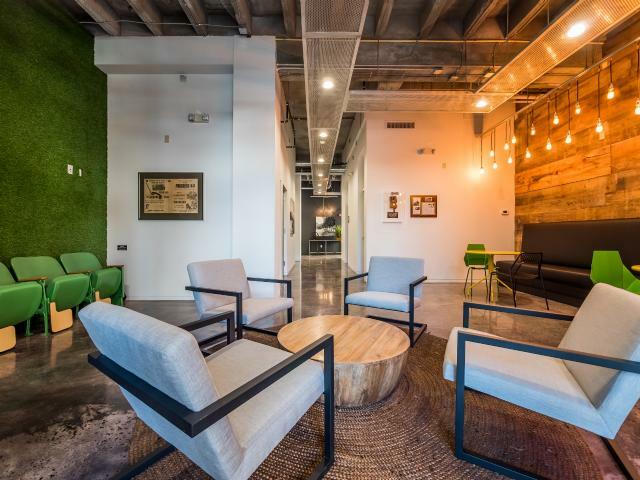 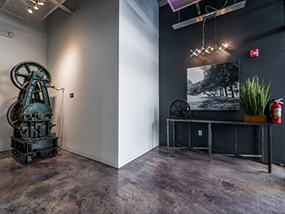 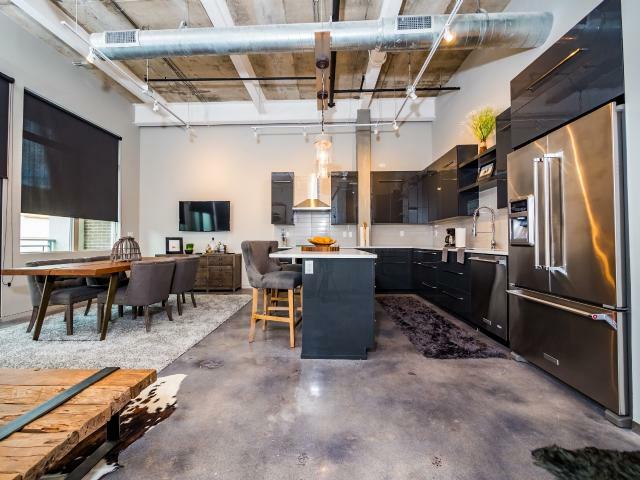 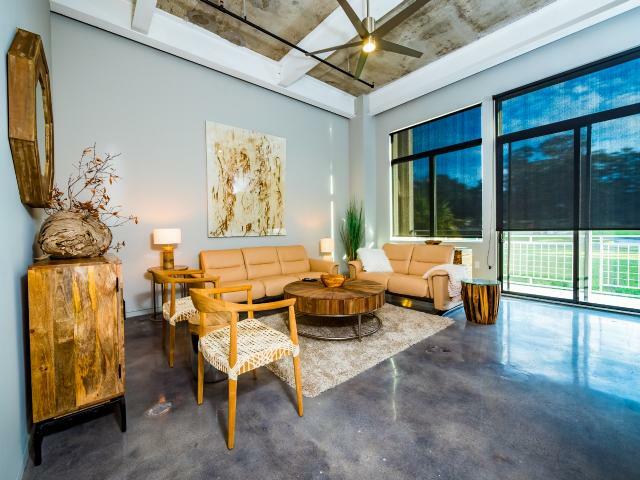 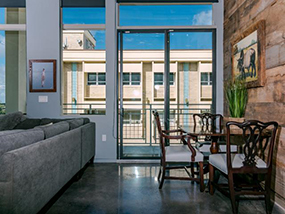 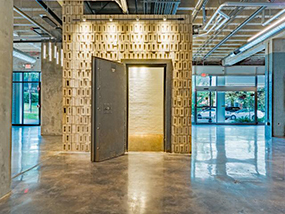 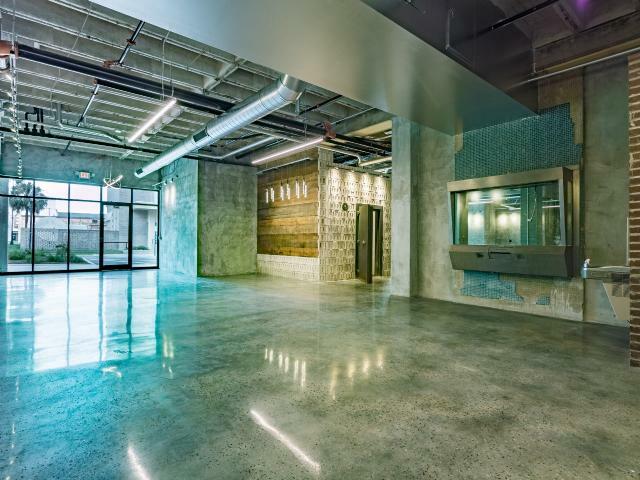 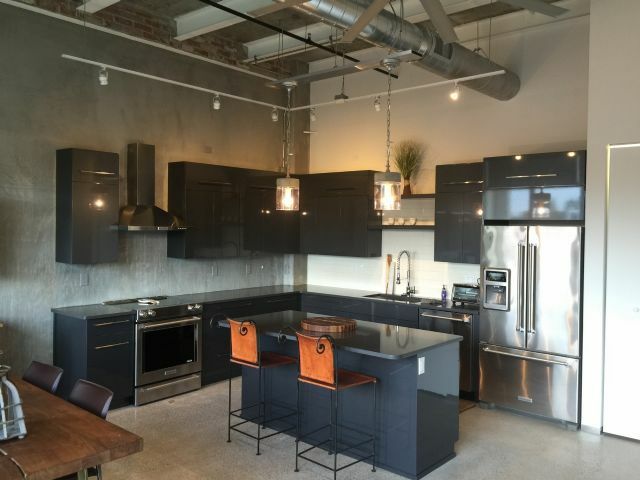 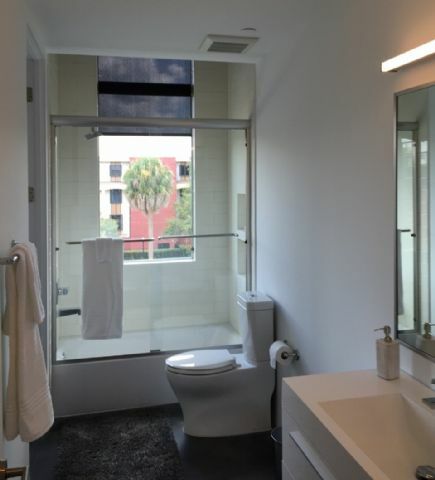 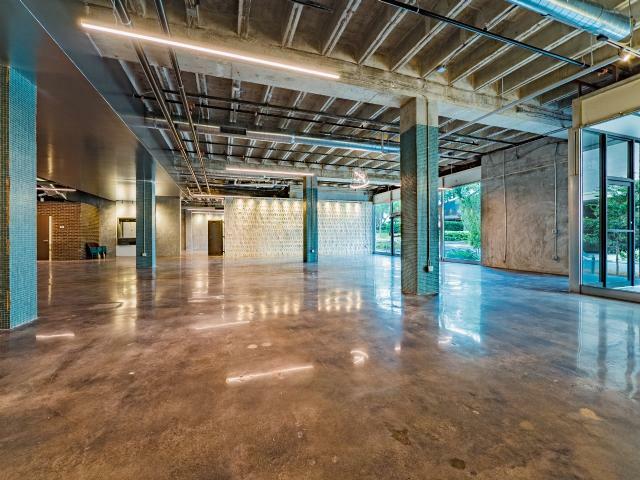 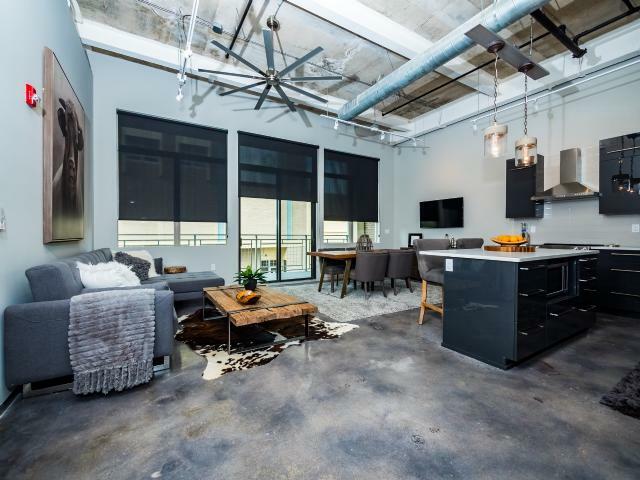 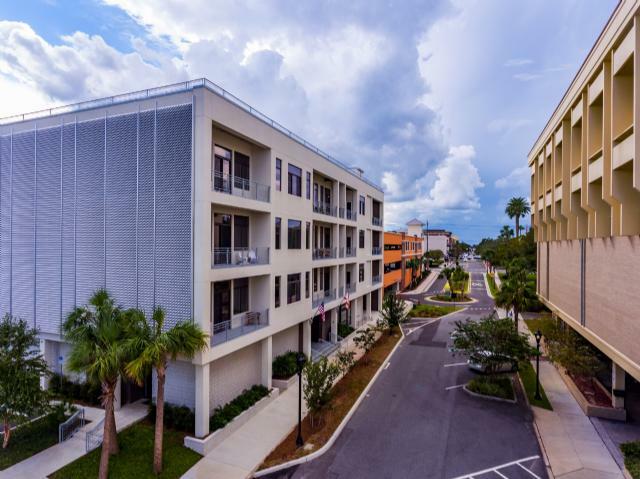 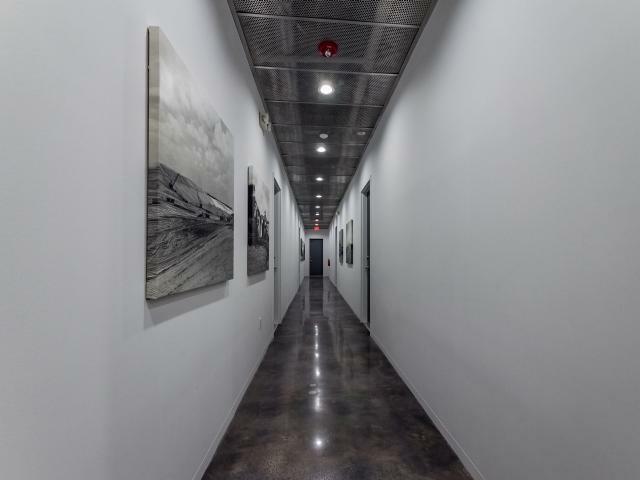 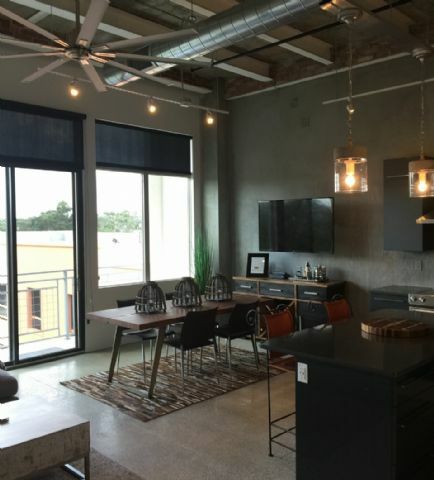 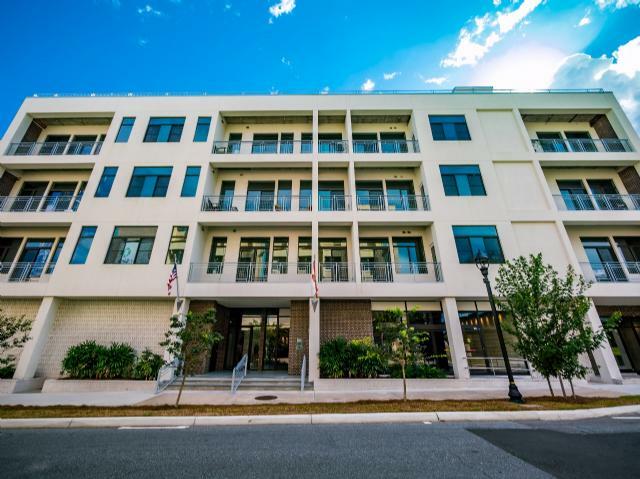 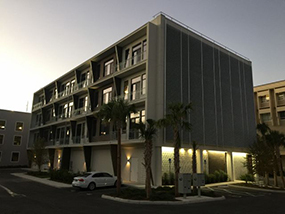 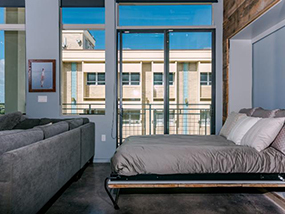 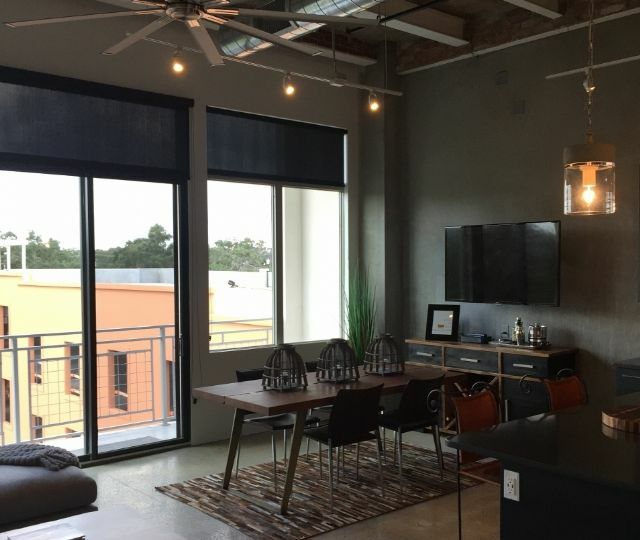 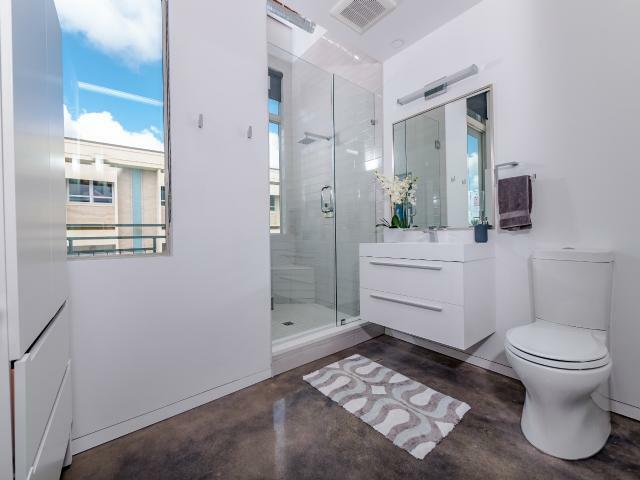 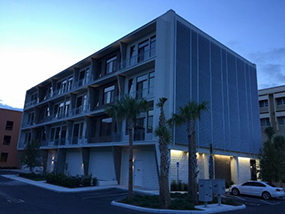 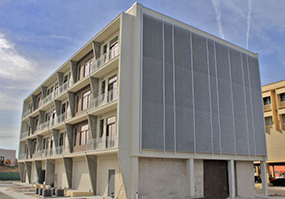 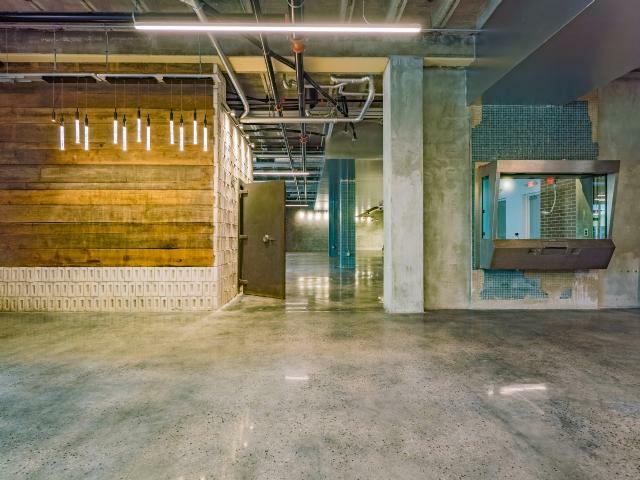 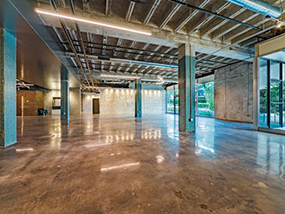 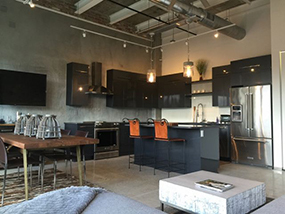 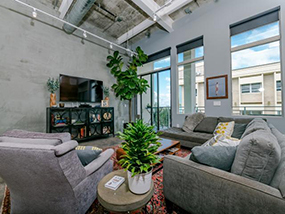 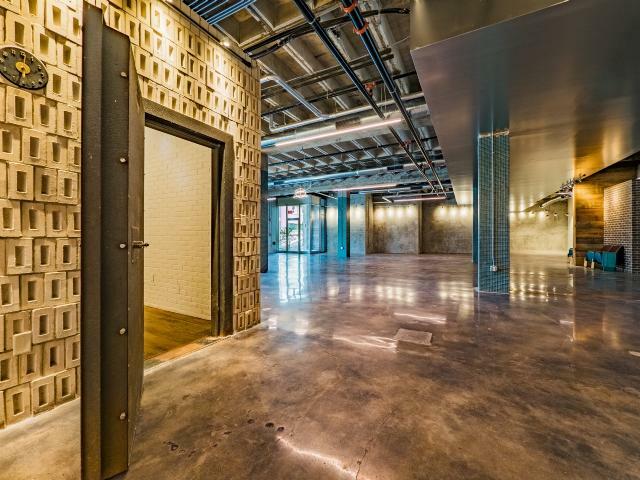 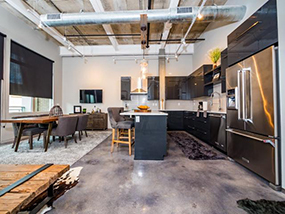 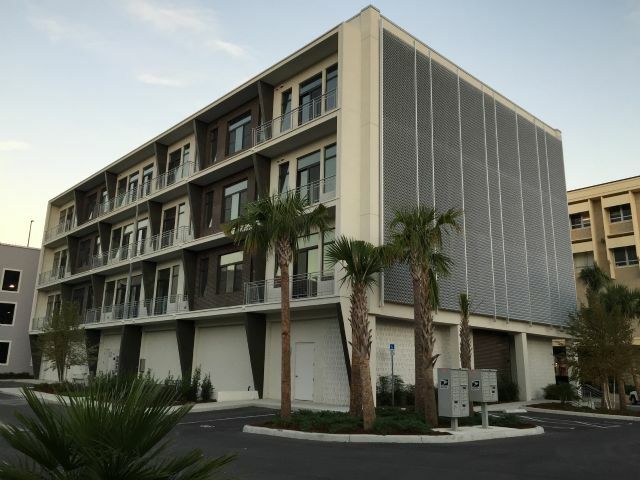 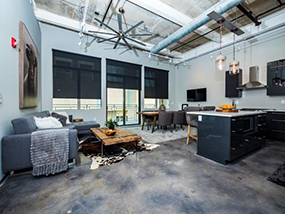 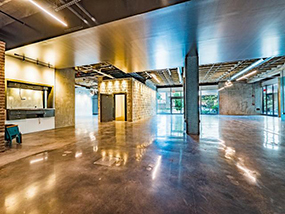 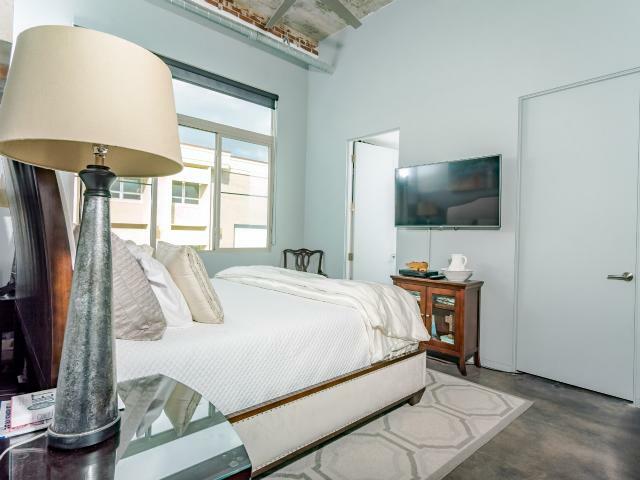 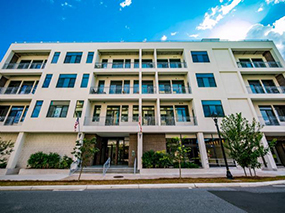 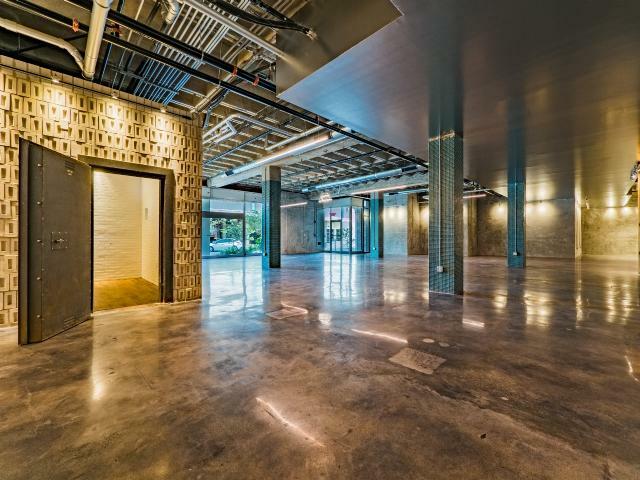 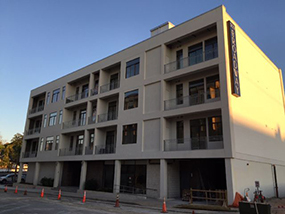 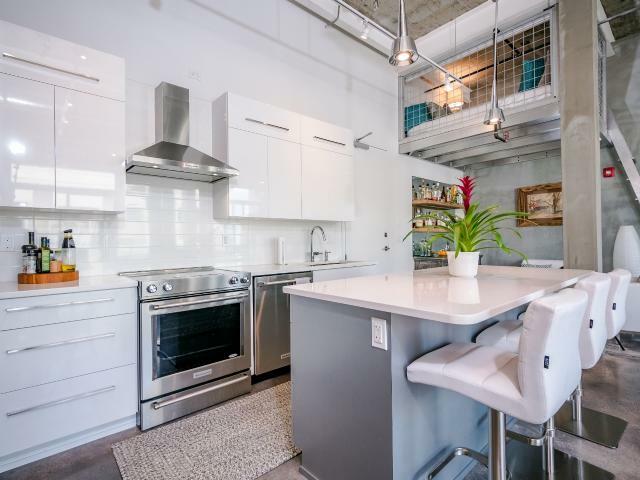 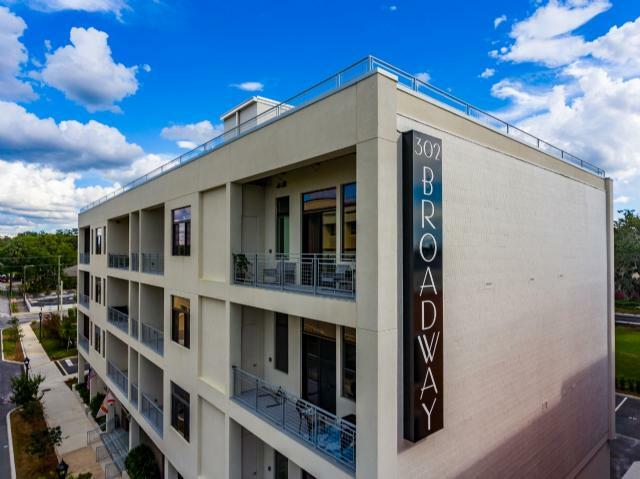 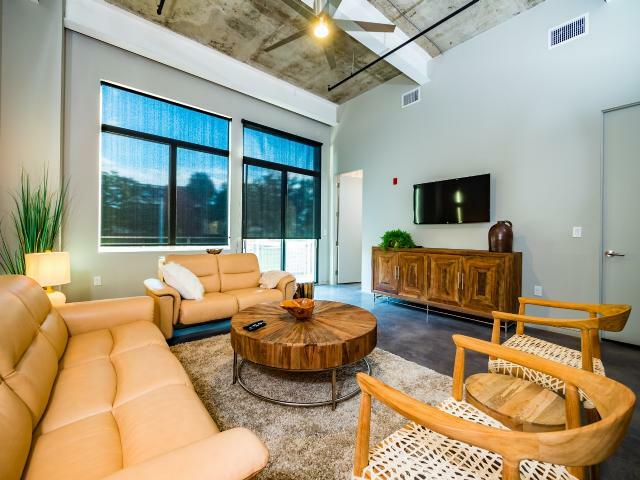 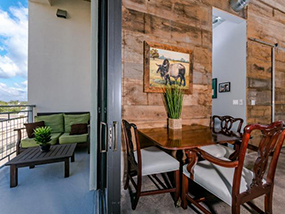 Something like an old cigar factory in Charleston converted into residential condos was inspiration to Sandy McBride & Holland Drake to repurpose the former Florida Telephone Corp. building, originally constructed in 1964. 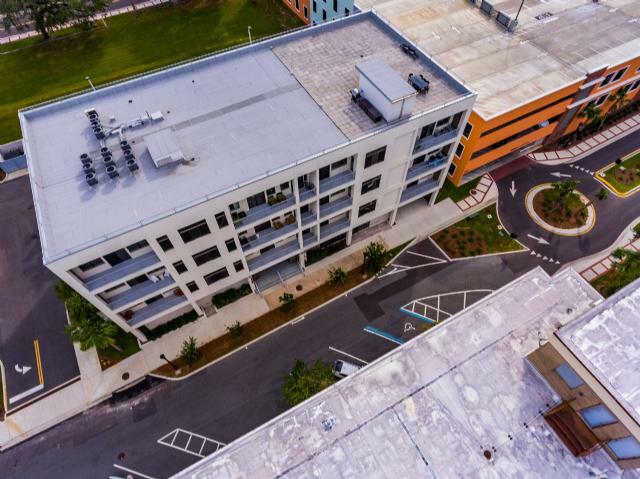 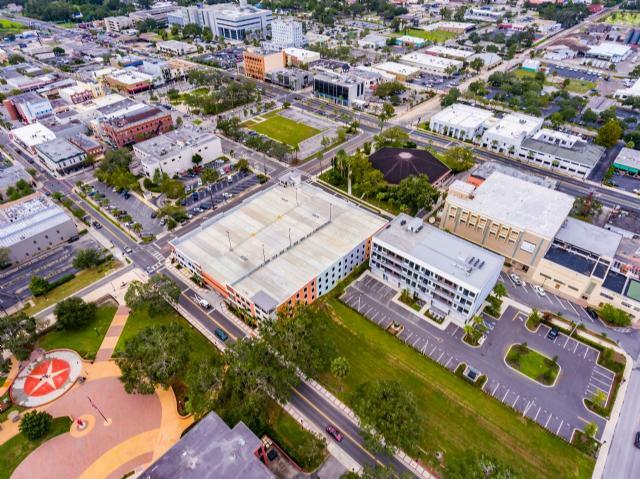 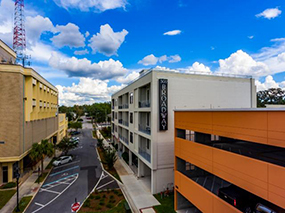 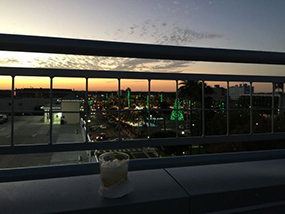 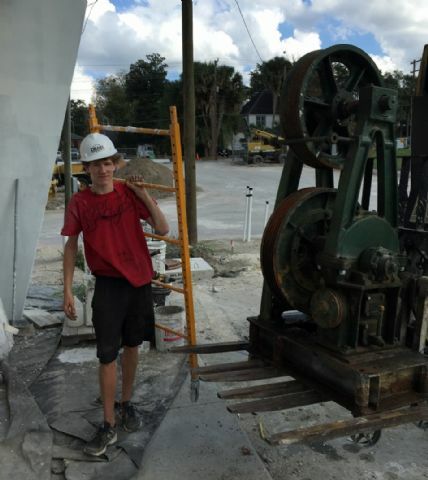 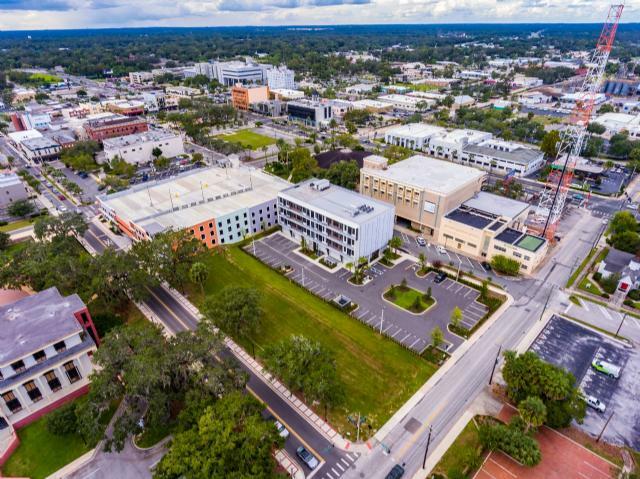 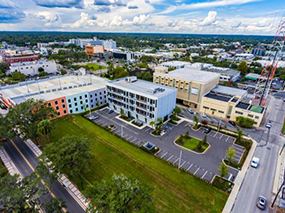 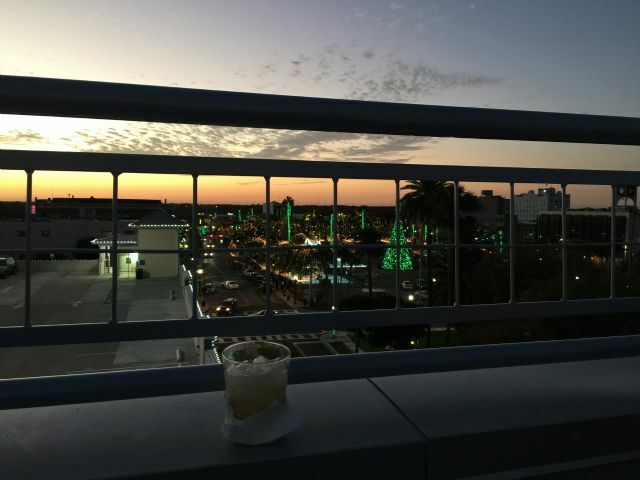 The big picture was how this project would spark Ocala’s Downtown revitalization, like that of larger cities where run down industrial/warehouse districts have been converted to bustling urban cores. 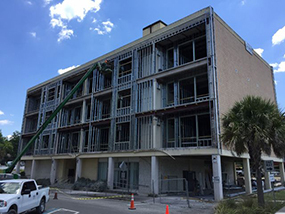 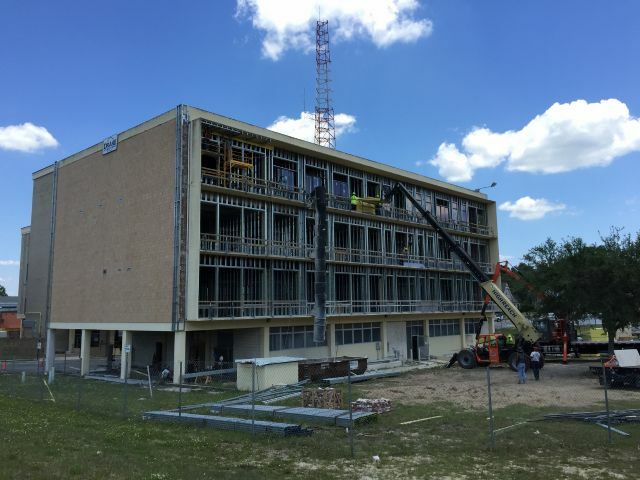 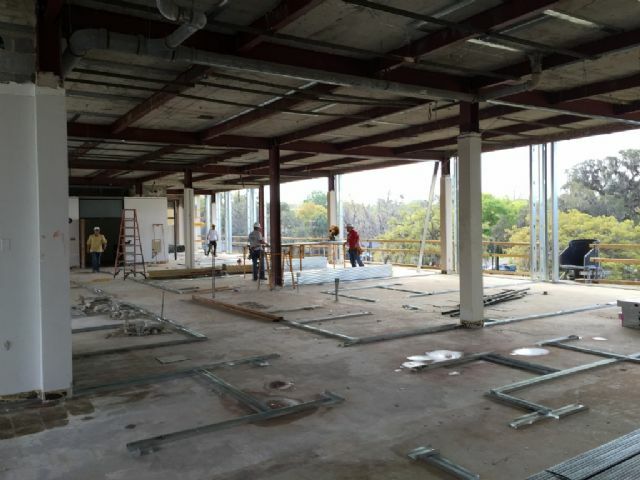 When work began, the building was stripped down to the floor decks, roof deck and the structural elements holding those decks in the air. 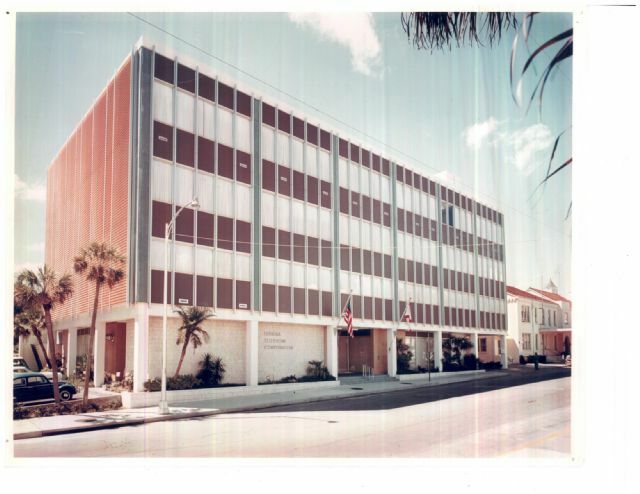 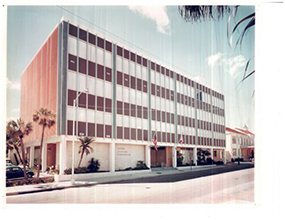 Once the demolition/asbestos abatement phase was over, the structure looked like a parking garage. A great deal of thought went into the conversion of the building. For instance, there were three phases of structural engineering. 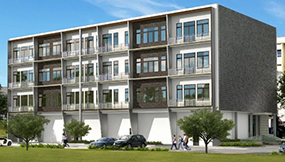 Those phases were due-diligence (identifying the obstacles), computer modeling the existing super-structure (to assure the structure could uphold current building codes) and then mitigation structural design (designing new structural elements needed to bring the building to current building codes, for instance, wind codes). 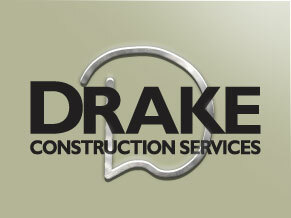 Many fantastic design ideas were rethought (value engineered) to bring the project within the financial plan. 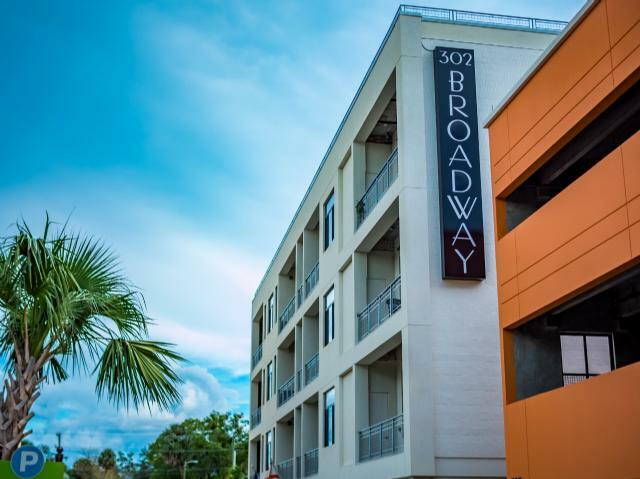 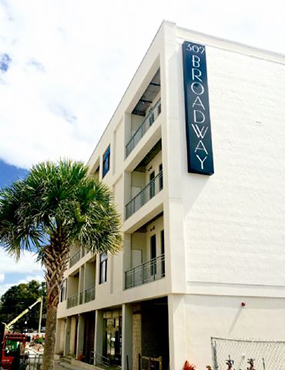 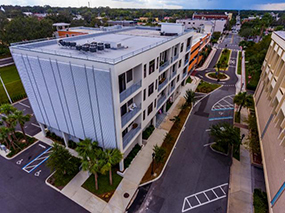 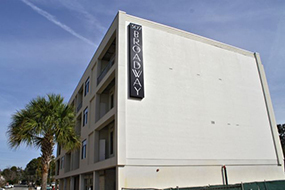 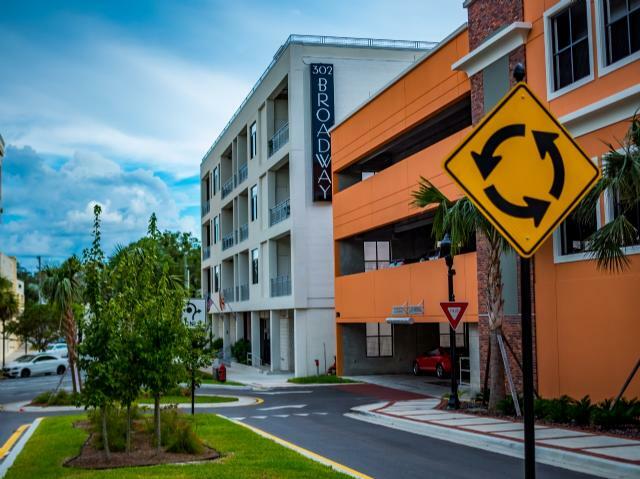 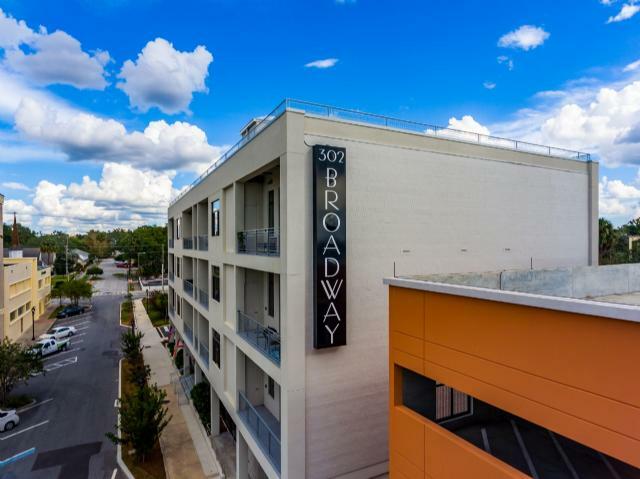 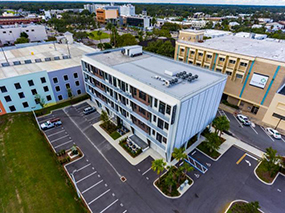 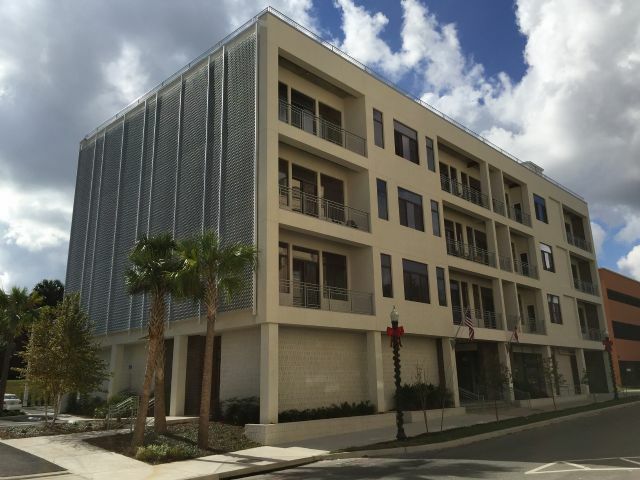 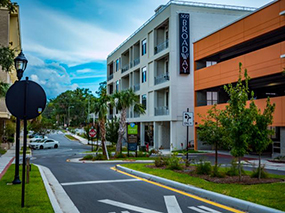 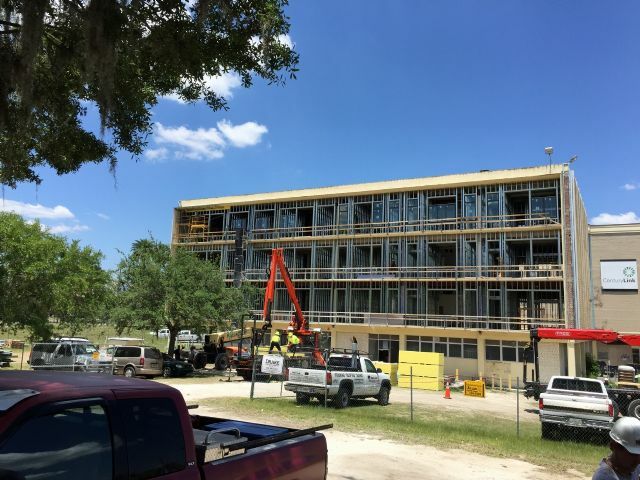 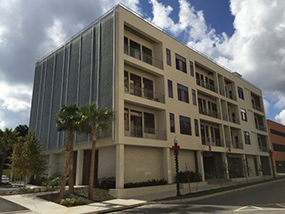 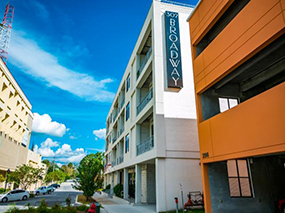 Now after all the years of planning and constructing, it’s great to see residents coming into 302 Broadway and other positive development happening in Downtown Ocala. 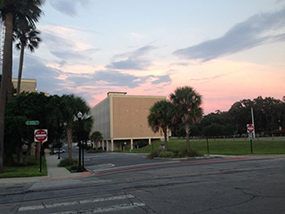 Click on the image(s) or link(s) below for image enlargements.